Audio King and Tinting has been specializing in Mobile Electronics since 1999. We offer you outstanding service and custom installation by the very best installers available. We invite you to stop by and see our 2,000 sq. ft. facility and talk to our sales staff anytime. We will be happy to answer any questions you may have! 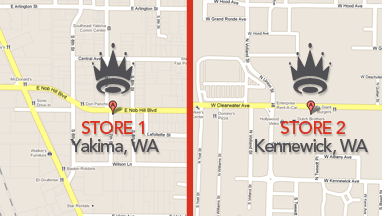 Store address 1: 700 E. Nob Hill Blvd.